Indicash (‘India’ and ‘cash’), marks a milestone for the country and ushers in a new era of ATM accessibility for the masses across cities, towns and villages. Backed by the $100.09 billion Tata brand, India’s first network of white label ATMs is aimed at empowering millions of Indians with the convenience to access their own money with ease. Indicash was designed using consumer research that TCPSL conducted across India which identified the main concerns surrounding the use of ATMs. The research showed ATM cards being swallowed, charged, short dispensation of cash, intimidating environments, difficult user interfaces and privacy / security as the top-of-mind concerns when using ATMs in India - especially in Tier 3 to 6 locations. The new Indicash ATMs have been designed to eliminate these fears and concerns. Indicash machines are Dip machines that cannot swallow cards; the interface has been designed to be intuitive and simple with multi-lingual messaging to provide ease and convenience of transactions for users across urban and rural markets. Features that address security concerns are privacy screen filters, key pad shields and electronic surveillance, to enable safe and secure transactions. Like most other bank ATMs, Indicash offers a host of cash and non-cash services such as cash withdrawals, balance enquiries, mini-statements and PIN change. 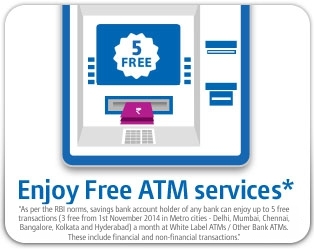 It accepts all domestic debit cards with the first five transactions per month being free, in line with RBI regulations for use of ‘Other Bank ATMs’. Tata Communications operates the world’s largest terrestrial and wholly-owned subsea cable network (tier 1 IP network). It's the world's largest wholesale voice provider carrying 53 billion international wholesale voice minutes per year and is the world leading global telecommunications and Enterprise IT solutions provider. The company serves 1,600 service providers and major multinationals around the globe. Its network touches 99.75 per cent of the world’s GDP and it accounts for 20 per cent of the world’s internet traffic. Tata Communications has also launched the world's first round-the-world fibre optic cable network connecting Europe to India, through Egypt, bringing increased capacity, resilience and enhanced communications links to not only the Middle East, but to the rest of the world.